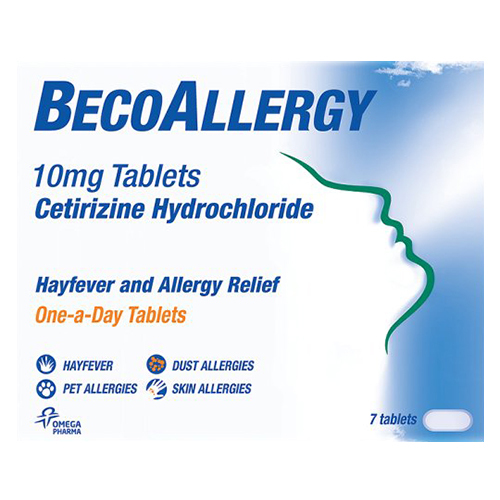 To relieve the symptoms of hayfever and other allergies e.g. pet or house dust mite allergies. Can also be taken for skin allergies such as rash, itching and hives. For oral use. To be swallowed whole with water. Do not take more medicine than the label tells you to. Do not use if you are pregnant, breast-feeding or have serious kidney problems. These tablets do not normally cause drowsiness. However, individuals can react differently so if you are affected, you should not drive or operate machinery. If you need more advice ask your pharmacist. 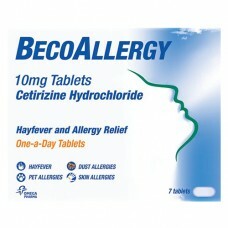 Each film-coated tablet contains 10mg of cetirizine hydrochloride. Also contains lactose.